Michael Helfort’s life is not getting any simpler. Being a hero has painted a target on his back. Not only do the Hammers want him to fail, so do many of his senior officers. Fleet is trying a new concept and Michael is the one who must make it work. Added pressure arrives when the Hammers captures someone he cares about. All of these elements add up for to great story in The Battle of Devastation Reef. The Battle of Devastation Reef, the latest book in the Helfort’s War series, continues the non-stop action between the Hammer’s and Federated Worlds. Graham Sharp Paul has delivered an exciting follow-up to the first two books while setting the stage for book four. Helford’s War is a great series for any Military Science Fiction lover. Del Rey published The Battle of Devastation Reef by Graham Sharp Paul in 2009. Captain Pauser of Nikkeldepain is set to return home and marry Illya, his fiancé, after successfully making money on her Father’s unpopular cargo. However everything changes when he makes a stop on Porlumma. There he rescues three young girls who had been sold as slaves. It turns out they are all Witches of Karres and that event turns his life around. Captain Pauser is thrown into a battle between good and evil and finds he must develop and use powers he never knew existed. James H. Schmitz (1911-1981) has written a rousing Science Fiction adventure filled with wonderful characters, non-stop action and a well-drawn universe. Although the Witches of Karres ended with the promise of a sequel Schmitz never wrote one. Now other authors have taken up the challenge and there are two more books in the series. Check the Baen website for further information. 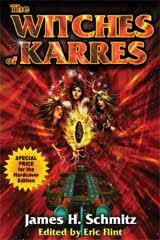 The copyright for Witches of Karres by James H. Schmitz is 1966 and the Baen edition I read is edited by Eric Flint has a July 2004 printing date. This is home to the Bengal Station Novels. Cosmopath is set 4 years after Xenopath, the second book in the series. Li, Jeff Vaughn and Sukara’s four-year-old daughter, has just been diagnosed with leukemia. Her chance of survival depends on the level of treatment Jeff and Sukara can afford. Their insurance will only cover a small part of the cost. 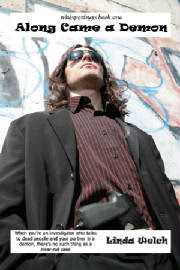 There is further trouble when an assassin tries to kill Jeff. Then the voidship tycoon and billionaire businessman Rabindranath Chandrasakar offers Vaughn a job that will pay all of Li’s treatment cost and get him away from the station for two weeks. Jeff does what he vowed never to do again; he agrees to read the mind of someone as they die. Rabindranath is not telling all that he knows about their destination Delta Cephei VII. As the trip progresses both Jeff on Delta Cephei VII and Sukara on Bengal Station are put in incredible danger. While reading Necropath, Xenopath and Cosmopath I have become very fond of Jeff and Sukara and intrigued by the Bengal Station universe. 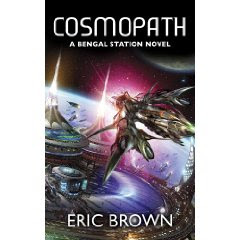 In Cosmopath Eric Brown has written an exciting and surprising conclusion to the Bengal Station Novels. While I loved the ending I am also sad that the series is over. Solaris published Cosmopath by Eric Brown in 2009. Tiffany (Tiff was what she preferred) Banks sees the dead. She doesn’t see everyone who died; only those who were killed by another person. It seems they cannot leave the Earth until the person who caused their death also dies. That’s how she ended up with two roommates no one else could see. The previous owner of her house had killed Jack and Mel and they liked living with her so they were sticking around. Because of her ability Tiff chooses to lead a very solitary life. To make extra money Tiff poses as a physic and uses her ability to help the police solve murders. When she asks for help to find a missing child unusual and disturbing events start to happen. Tiff is assigned a partner, Royal Morrison, who has recently transferred to the Clarion police department. Morrison is not from this world. To everyone else he looked human but to Tiff he looked like a Demon. No way does she want to work with him so the sparks fly! The case is more involved that it seems at the start and Tiff and Royal are soon looking for more than a missing child. Along Came a Demon is a new twist on the paranormal. 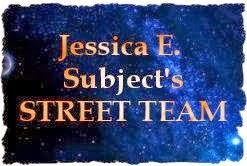 Filled with great characters (even Tiff’s dog), an action filled plot and good world building Along Came a Demon is a great start to a new paranormal mystery series. I’m looking forward to the next book, The Demon Hunters. In the author’s notes Linda Welch calls Along Came A Demon a novella. I purchased Along Came a Demon from Amazon after someone on a Yahoo Group commented that Along Came is Demon is a good story and Linda Welch is an up and coming author to keep an eye on. After reading Along Came a Demon I agree with that assessment. The book is 150 pages long, a paperback, and the size of a hardcover. There is no publisher listed. The copyright is 2009. Grass by Sheri S. Tepper was the January book selection for the Science Fiction Book Club. I missed that meeting and do not have any feedback from other members. Grass did not catch me at first and I laid it down several times. I had read 50 pages before the story reeled me in. Filled with complex characters, not all human, and placed in an intricately constructed world Grass looks at many human perceptions and actions. The human race is faced with a plague and cannot find a cure. Settled long ago by a group that wanted to get away from the rest of humanity the people of Grass do not welcome newcomers. However, Grass is the only world that is not affected by the plague. The only way to get people on Grass to look for a cure is to send them as Ambassadors. One of the institutions on Grass is The Hunt. Marjorie Westriding Yrarier and her family have been sent to Grass as Ambassadors because they ride and have horses but they are really there to look for a cure before all of humanity is wiped out. When they attend the first Hunt it is not anything like they expect. The horses, hounds and fox are all native to Grass and bear little resemblance to Earth animals. They control the purpose and people riding in the Hunt. Grass is a world that is not at all what it seems. Because of her experience with The Hunt Marjorie starts investigating what is really happening on Grass. What and who she finds changes the path of both humans and aliens. In Grass Sheri S. Tepper has written an original story filled with fascinating details. Bantam published Grass by Sheri S. Tepper in 1989. Grass is currently out of print. I purchased it used from AbeBooks. Cleve Cartmill (1908-1964) was a freelance writer who contributed over 50 novellas, novelettes and short stories to Science Fiction and Fantasy magazines. Murchison and Co. Space Scavengers was published in the late 1940’s in Thrilling Wonder Stories. “Known as the “Space Salvagers” stories they were a science fictional riff on the classic and highly popular, “battle of the sexes” comedies of the ear.” The series has been out of print for years. Renaissance E Books publication has recently released Space Scavengers as an eBook and I purchased it at Fictionwise. Murchison and Co. Space Scavengers is a fun look back at Science Fiction in the late 40’a. While the science is out of date the story is still an enjoyable read. Jake Murchison is part owner of a one-ship salvage company and Helen Wall is a space ship captain and heir of the largest multi-ship salvage company. The two should be fierce competitors but when their paths cross sparks fly and unexpected things happen. Filled with adventure and action Murchison and Co. Space Scavengers is great example of early Space Opera. eBooks are bringing back a lot of the classics. For the Science Fiction fan it is a great opportunity go read the stories laid the foundation for Science Fiction today. Around Christmas I did not do much reading and wrote few posts. Then the snow and really cold weather came and I did not get out much. You would think that I would do a lot of reading during that time but just the opposite happened. I was so restless staying in that I could not settle down to read. Instead I cleaned things in my house that I had ignored. I can get out more now and am back reading. Look for the following post in the next few days. Everyone in the Science Fiction Book Club recommends books for the next year. From that list we pick the 12 we want to read. Here is the list for 2010. Look for my comments after the meeting each month. 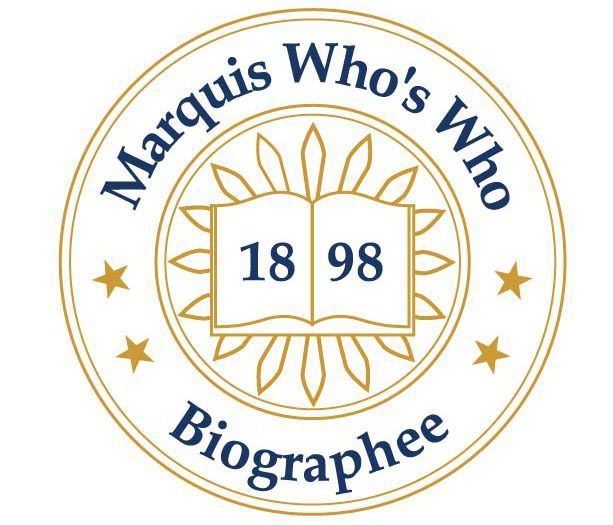 2nd Wednesday of each month, 6:00 P.M. The following books are on my Amazon wish list and my reading list for 2010. All are to be released during the first part of 2010. Look for my comments on each book later in the year. Hope you find many great books to read in 2010.